Use This Listbuilding Strategy To Increase Your Opt-Ins! | Stamping Is My Business! Home» Business Building Articles » Use This Listbuilding Strategy To Increase Your Opt-Ins! If you have a double opt-in mailing list (recommended), you’ve probably experienced the frustration of seeing someone sign up for your list… and then NOT confirm their subscription! You’ve probably blamed the e-mail marketing service you use for not actually delivering the confirmation e-mail. While that MAY be true once in a while, the reality is, the vast majority of your subscribers DO receive that e-mail… and just ignore it. Why do they ignore it? Sometimes, they don’t really want to be on your list. They were just looking for a free gift. Sometimes, they just didn’t see it in their Inbox. Sometimes, they simply forget to click on the link. Whatever the reason, you end up with fewer subscribers to market to in the future. 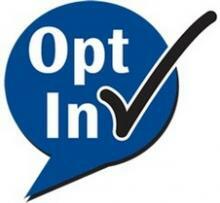 So… what can you do to increase your opt-ins? Your confirmation page is the page a subscriber sees after they’ve clicked the ‘Submit’ button on your sign up form. Usually, it reminds them to check their email to confirm their subscription. Customize the page (or build your own), so they can’t ignore the call to action! Remind them why they want to confirm that subscription by reiterating what they’re going to receive when they do. You could even put a timer on the confirmation page to create an even greater sense of urgency. Optimize that page, and watch your double opt-in percentage go up!